Discover Brussels in a different way! Hop on Hop off buses! 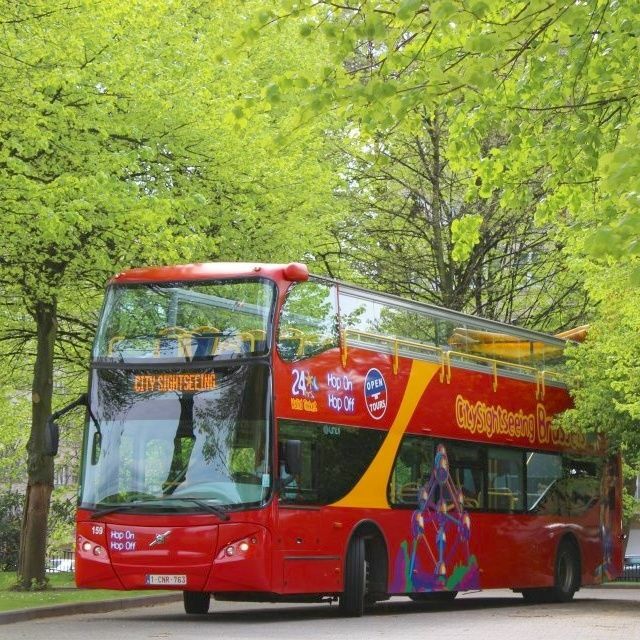 Get in a red open top double deck bus from City Sightseeing Brussels and take a ride on one of our 2 lines. With tickets for 24 or 48 hours you can hop on and off as much as you want on the 2 lines to discover all Brussels has to offer: historical, green, international, Art-Nouveau, designer, shopping, and so on. Every line takes 75 minutes and the 2 will give you a total view of Brussels.